Dubai, UAE: Leading Middle East chefs and restaurateurs are exploring the changing face of the region’s dining scene ahead of their joint participation in a dedicated food and beverage forum at the 17th annual Hotel Show Dubai. The region’s leading hospitality event, taking place over three days at the Dubai World Trade Centre this month, is opening up its Vision Conference on 19th September 2016 to expert-led discussions exploring trends amongst the region’s diners. Speakers include: Chef Colin Clague, Executive Chef & Managing Partner, Ruya Restaurant, Grosvenor House, previously Chef de Cuisine at the Burj al Arab and Executive Chef of the popular Zuma and Qbara restaurants in Dubai; Kuwaiti Chef Ahmed Al Bader, renowned for his influence on the country’s F&B scene through his work with the Epicure Group and Group Six; and Chef Darren Velvick, Head Chef & Patron of The Croft, who spent more than a decade working alongside Gordon Ramsay and Marcus Wareing and won ‘Middle East Chef of the Year 2015′. Dubai’s casual dining revolution – favouring authentic street foods cooked quickly and served in a relaxed atmosphere – is set to be a running theme through the series of expert-led discussions. The F&B themed discussions at the 4th annual Vision Conference include: ‘Food as a Feeling: trendsetting in the GCC, reinventing classics and loving food’; ‘Chef Entrepreneurs – the secret of success’; ‘Trends in kitchen and eating spaces – reviving your concept for improved performance’; and ‘The casual revolution: street food, sharing caring, grab and go, menu engineering for new trends and improving revenue performance along the way’; set to take place 10:30am – 14:00pm on Monday 18th September 2016. The Hotel Show Dubai is organised by dmg events and belongs to the dmg hospitality portfolio comprising of The Hotel Show Dubai, The Hotel Show Saudi Arabia, The Leisure Show Dubai, Piscine Middle East, Middle East Hotel Awards, Saudi Arabia Hospitality Awards, Middle East Pool & Spa Awards, The Vision Conference and TecSec Summit. 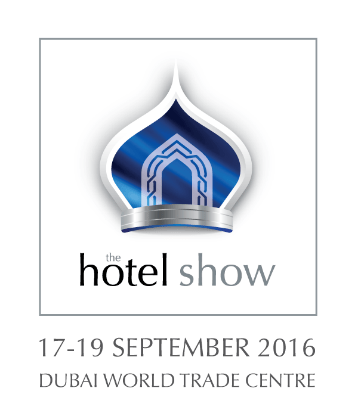 The Hotel Show Dubai (17-19th September 2016, Dubai World Trade Centre), part of the dmg events hospitality portfolio, is a pivotal business forum for the hospitality industry in the Middle East and Africa. Working with the Department of Tourism and Commerce Marketing, industry associations, and partners, the 2016 event includes visionary features, extensive educational content (through the Vision Conference and TecSec Summit) and other knowledge sharing platforms together with senior level networking; co-located with The Leisure Show – the region’s only event dedicated to its growing leisure industry. An international exhibition and publishing company, dmg events produces market-leading exhibitions and conferences for the global energy, construction, coatings, hospitality and interior design industries. dmg events is a wholly-owned subsidiary of the Daily Mail and General Trust plc (DMGT) an international portfolio of information, media and events businesses listed on the London stock exchange. DMGT manages a balanced multinational portfolio of entrepreneurial companies, with total revenues of almost £2bn, that provide a diverse range of businesses and consumers with compelling information, analysis, insight, news and entertainment.